Jen has been the organization's Executive Director since obtaining her J.D. in 2004. She leads Brightways Learning in working hand-in-hand with students, educators, parents, and other stakeholders to support student academics and social and emotional wellbeing. Jen has a thorough knowledge of collaboratively implementing innovative change and developing education support programs. Bringing expertise in rural and remote education settings, she also leads grant-writing coordination efforts. She is the main contact for people interested in developing educational programs with Brightways Learning's assistance. Jen is responsible for managing multi-million dollar federal grant-funded programs, which have successfully implemented student growth and leadership components and support local leaders, schools, health organizations, and communities for long-term sustainability of positive change. Email me. Aaron joined Brightways Learning in 2005 and has served as Director of Technology since 2006. He spent six years programming medical software during the day, while pursuing an M.S. in Computer Science from Boston University in the evening. He spent another couple of years in Washington, DC, analyzing afloat networks for the Navy and finding creative commuting options through the district. Aaron is responsible for our conversion to the Ruby on Rails framework and has led development on numerous applications both large and small. Aaron does not miss long East Coast commutes, since he enjoys being outside and in motion (running, biking, hiking, skiing, etc..). He is moving a bit slower these days, however, with his two young children in tow. Email me. Kersch co-coordinates, facilitates collaboration, and implements our Professional Development trainings and other opportunities related to our software products, educational projects, and supporting services. Joining our team in 2005, she also helps design our software applications and serves as our lead trainer, providing both group and one-on-one PD virtually and on-site. With an M.A. in Journalism and B.S. in Wildlife Biology, she has been doing online and print journalism, design work, and software development and training since 1998, specializing in educational, news, and interactive media most commonly related to science. As a consultant, she wrote content distributed to about a dozen Newspapers in Education programs nationwide and also co-developed many of the hands-on and interactive components of the original STEMscopes middle and high school Life Sciences curriculum. Most recently, she developed NGSS Middle School Life Sciences PD curriculum for the Kansas City Teacher Residency program. Kersch loves traveling and immersing herself in local cultures and communities, appreciating the nuances of humanity and different ecological regions. Email me. Jamie has been with Brightways Learning since 2004. She holds a B.S. in Accounting from the University of Montana and has worked in her field for more than 13 years. Jamie loves traveling with her husband, spending time with friends and family, and spoiling her two corgi pups. Email me. Cindy brings over 13 years of sales and marketing experience to our organization. Her focus has been in the educational technology field, and she enjoys experiencing how technology can enhance student learning. She completed her B.A. of English at Washington State University. She enjoys spending time with her children and husband baking, cooking, reading, and snapping photos. Email me. Shelby is the master of quick-thinking and problem-solving. She manages many people's various logistical needs across various projects to meet our goals and mission. Meanwhile, she's finishing up her Bachelor's degree in microbiology at the University of Montana. Email me. Derek has almost four decades of experience as a child/youth advocate in Alaska and worldwide. He guides local, state, national, and international policy makers and program leaders to see and understand youth through a new lens. Derek created Integrative Youth Development (IYD) and its Student Support Card assessment, transforming the complexity of youth development into an easy-to-understand framework that guides the best practices of numerous programs, communities, and school districts through Brightways Learning’s Kaleidoscope Connect. Email me. Amy has more than two decades of experience in K-12 education, including English Language Learning, classroom teaching, Lead Teacher, and School Counselor. She has a Bachelor’s in Linguistics, a K-8 Type B Teaching Certification, and a Master’s in K-12 School Counseling. She has worked in youth development since she started in education. Looking at the youth and the world around them has been a passion for her as she focuses on supporting youth. She continues learning from top leaders in the youth development field. Currently, she leads Kaleidoscope Connect events with both youth and adults in the United States and Canada. She also provides support and supervision to Regional Leaders throughout the state of Alaska as they implement the Integrative Youth Development framework and related activities in their areas. Amy provides a fresh look at youth development as she continues to work in multiple school districts and youth and tribal organizations in Alaska and outside the state. Email me. David's combined 20 years of experience working with youth in direct care and administration in both the private and public sector has equipped him with a unique lens through which to see youth in Alaska and beyond. He was born and raised in Anchorage, Alaska, and has had the privilege to live in that state's rural communities, as well as Northern California. Throughout his career, the training he has received from some of the top youth and experiential education professionals in the U.S. and Canada provides him with a solid understanding of what youth need to succeed. David brings a fresh perspective on supporting and guiding youth through their life and career paths; understanding that life is a journey in which growth and learning have no end. Email me. 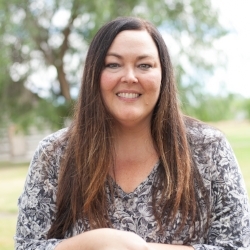 Terri completed her undergraduate degree with a double major in Elementary and Special Education, emphasizing in Supportive Employment from Montana State University-Billings. While living in Glasgow, Montana, teaching a range of 3rd Grade and PreK-12 Special Ed, she earned her Master’s Degree in Elementary Level Leadership from the University of Montana. She gets great satisfaction in providing support to and collaborating with home-educators and working with the innovative staff of Brightways Learning. Terri enjoys partnering and learning facets of new business, from restaurants and home staging to trucking and currently resides with her husband and two dogs in Billings, Montana. Email me. Melinda has lived in various places in the United States, but she has spent most of her time in Ohio, Montana, Utah, California, and Alaska. She has been a teacher for nearly two decades. During five of those years, she taught students from Fort Irwin, California, and she has also taught in a small Eskimo village in Alaska. Since 2004, she has provided services to homeschool families, including creating computer-based math courses. Melinda lives north of Anchorage in a converted barn, spending time outside in the beautiful state of Alaska and traveling. Rod is an experienced educator with more than 30 years working as a teacher, principal, and superintendent in the public school system. As an Assistant Superintendent for the State of Montana, he supervised the accreditation of nearly 800 schools, along with teacher and administrator certification, Adult Basic Education, General Education Development and External Diploma programs. Rod specializes in facilitating, planning and organizing; establishing an environment of progress; formulating ideas; securing the cooperation of others; and, anticipating and analyzing problems. These skills have served him especially well as a member on several prestigious boards, such as the National Study of School Evaluation and the Human Rights Commission for the State of Montana. Rod also served about six years as Vice President for the Northwest Association of Schools and Colleges and served as chair for that organization's Commission of Schools, leading a revision of Commission governance and development of its performance-based accreditation mode. Email me. Tina has been working in the K-12 educational technology field for more than 20 years. In her roles as a sales and marketing executive, she is experienced at introducing new technologies and products to educators. She is currently an independent contractor, helping EdTech companies implement their services in districts and schools to improve student achievement. She has a bachelor's degree from the University of Montana and resides in Helena, Montana with her husband, Morgan, and their dog, Molly. Email me. Rhonda has more than 20 years of experience leading diverse teams, program/project management and strategy development in the life science, medical device and technology sectors in both for-profit and non-profit settings. She has held leadership roles in sales and marketing, human resources, operations, and business administration. Rhonda earned her Bachelor's degree in French from the University of Montana, a Certification to Teach English as a Second Language from Seattle University, and an MBA in Global Leadership from City University of Seattle. She believes that education is vital to providing baseline skills to survive and ultimately achieve as adults in the world. Regardless of geography, economic circumstances or cultural differences, all children deserve the opportunity to receive a quality education. Rhonda is passionate about world travel and continuous learning. She lives in Seattle and enjoys painting in her spare time. Email me. Scott is the Superintendent of Alaska Gateway School District, where his interests have led him to specialize in funding and managing an array of projects and programs that improve the quality of education and life for communities in rural Alaska. He has been professionally involved in education for nearly 30 years. Scott grew up in an Inupiat village in Northwest Alaska, where his family lived a subsistence lifestyle. After high school, he enlisted and did an overseas tour of duty. Returning to Alaska, he completed an apprenticeship in the trades while attending the University of Alaska to earn degrees in Political Science and Education. As well as being a teacher and administrator, Scott has variously worked as a mason, a carpenter, restaurateur, riverboat pilot, and fisherman, among others. These life experiences serve him well in his current position, where he works with people from a range of backgrounds, to design and manage projects that range from one-to-one programs, preschools, residential summer schools, performing arts, and vocational-technical programs, to projects in curriculum and evaluation management, and facilities. He is currently working toward a doctorate in Education Policy. He has two grown sons, and currently lives with his wife and 20 sled dogs in Tok, Alaska. Email me. Lynda grew up in the small village of Grayling, Alaska and graduated from Mt. Edgecumbe High School in Sitka. She earned her bachelor’s degree in Sociology/Anthropology and Asian Studies from St. Olaf College in Minnesota. Lynda taught English as a Second Language in Japan and Germany for 6 years before returning to the States to earn her Masters degree in Education from Harvard University. In 2009, Lynda received the Governor’s Award for Alaska History Teacher of the Year. She has spoken on various panels regarding Alaska Native education, which is a particular interest of hers. She is also interested in languages, traveling, running, education, cooking, and enjoys being a mother to her two young sons, though she does miss having time to read. In addition to teaching Honors Alaska Studies, Honors Ancient Civilizations, and AP World History at Bartlett High School in Anchorage, Lynda also teaches a course on Alaska History for teachers at the University of Alaska. She is passionate about learning, teaching, student success, family, and living a full life. Email me. From foster care to public radio, Kim has helped nonprofits develop programs, attract funding, and expand the delivery of their mission. Today, Kim is leading Impact Foundry in partnership with an engaged Board and stellar staff team. In 2006, Kim joined 3fold Communications to launch the nonprofit division, focused on capacity building for faith and community-based organizations, and serving the interests of corporate community benefit programs. Local, statewide and national foundations engaged 3fold to help strengthen grantee organizations; and Kim and her team developed grantmaking programs and training modules to help nonprofit organizations improve upon and demonstrate their impact. In 2015, 3fold sponsored Kim to assume the helm at Nonprofit Resource Center, and to lead its expansion and transformation to Impact Foundry. Today, Kim is having the time of her life creating new pathways of impact within the nonprofit sector in her role as executive director. Kim believes our future depends on well-equipped, engaged youth. Kim is from Alaska, where she grew up playing with bears and catching salmon with her bare hands. Most of the time, she tells the truth. Email me.